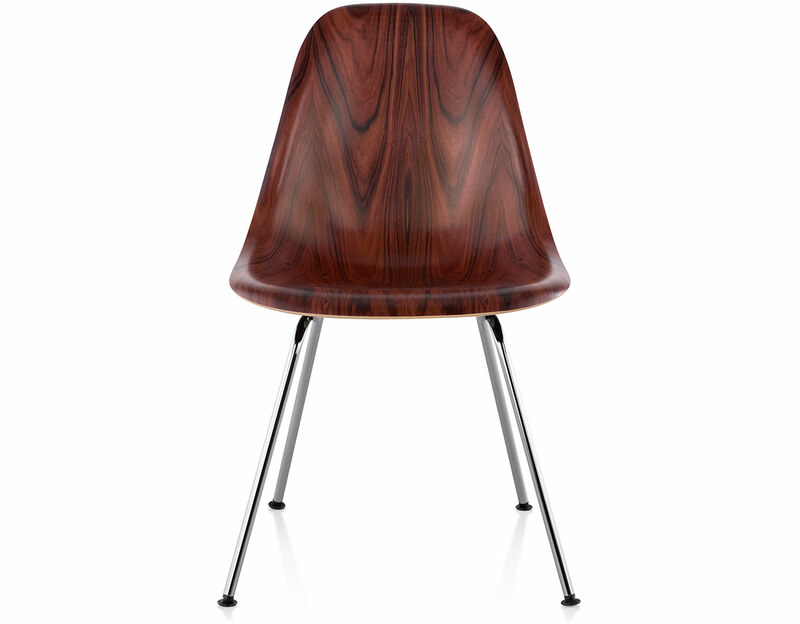 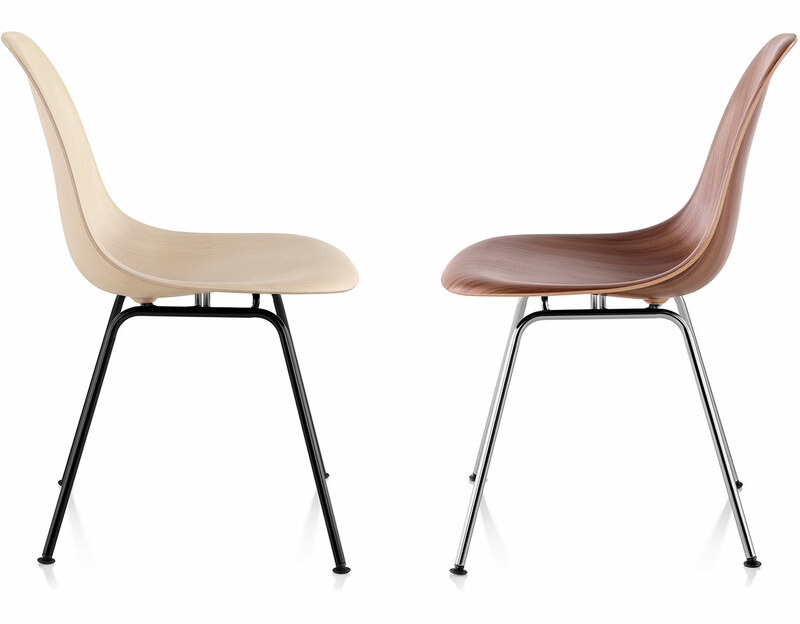 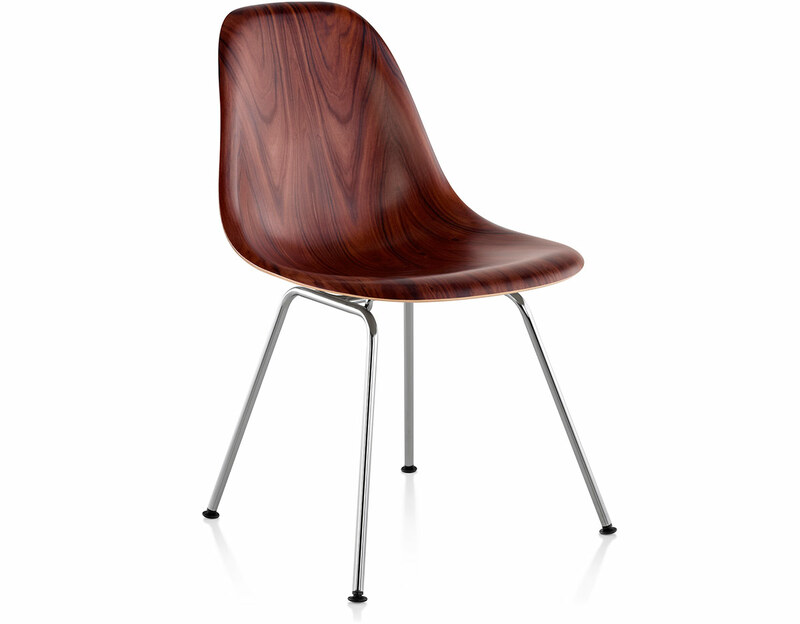 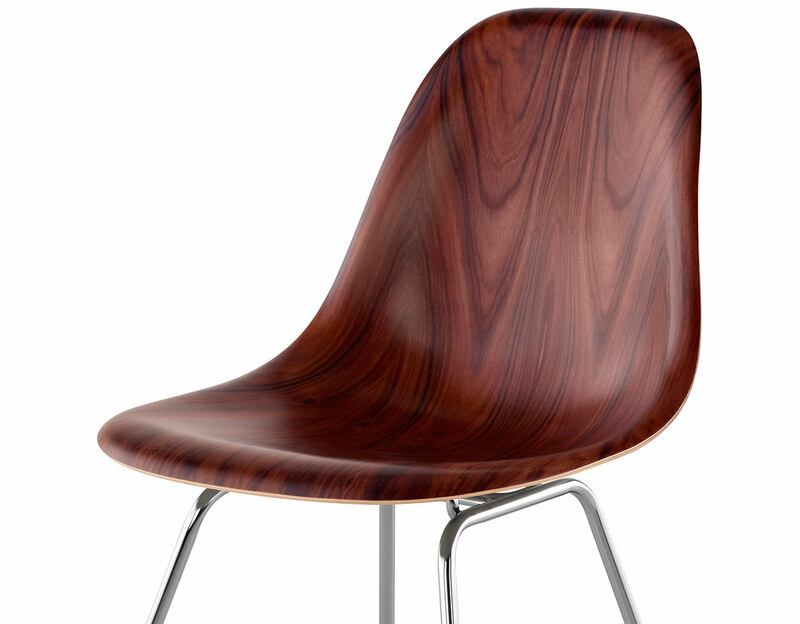 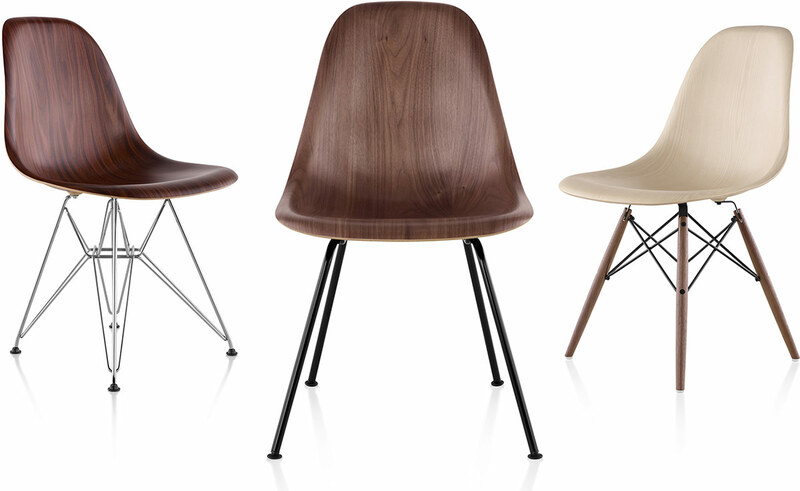 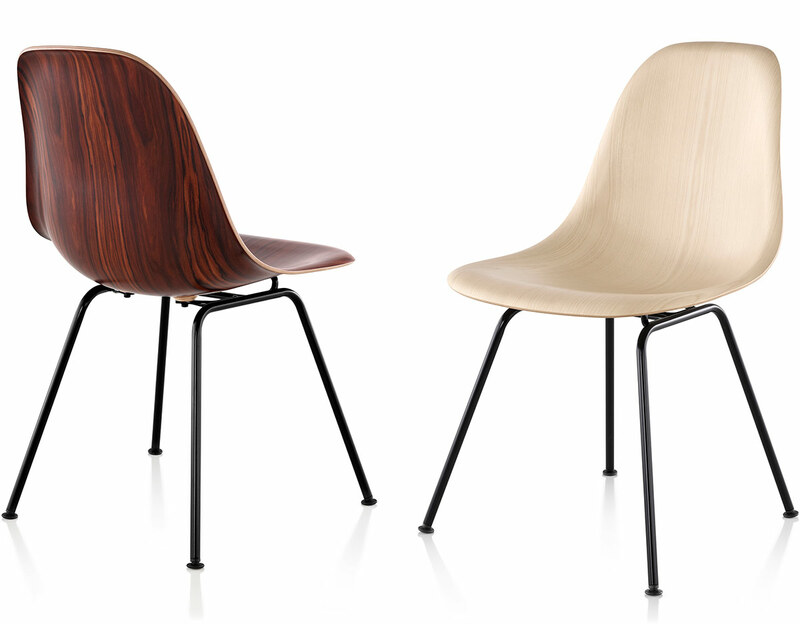 In their longstanding commitment to the Eames vision of continued exploration, refinement, and discovery, Herman Miller introduces the Eames Molded Wood Side Chair, a beautiful expression of their timeless design, achieved with the help of today's 3-D veneer technology. 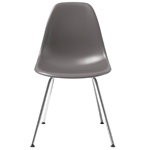 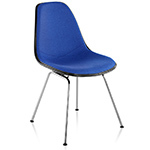 The side chair is a molded one piece construction with waterfall edges and measures .260" in thickness. 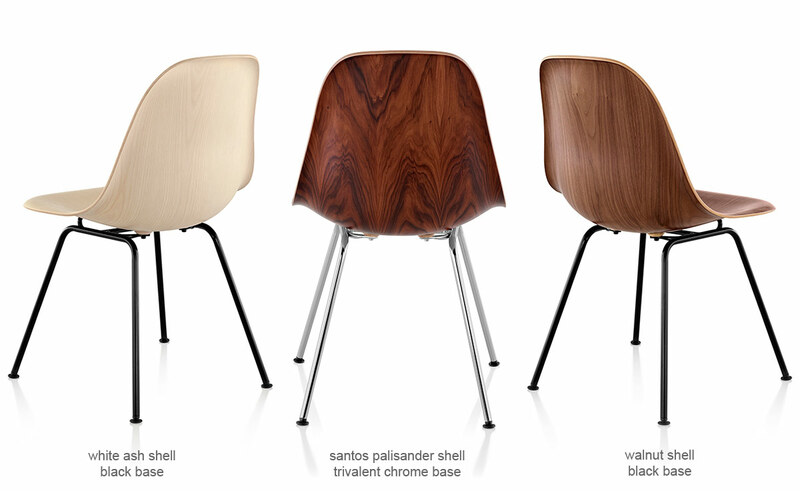 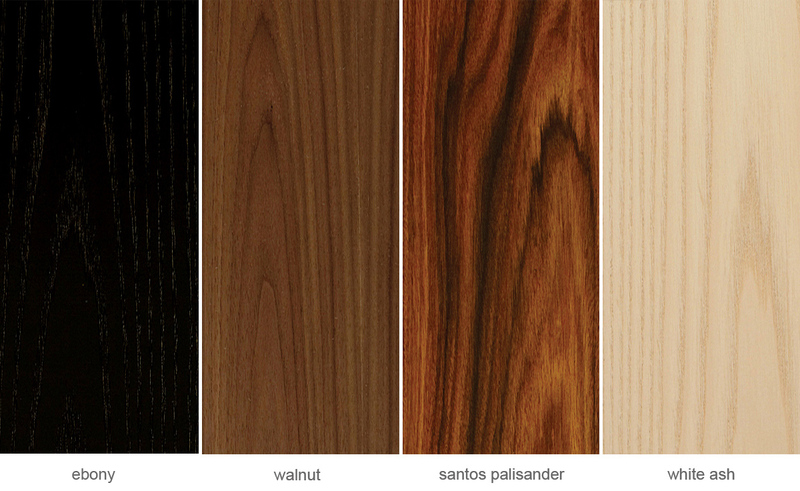 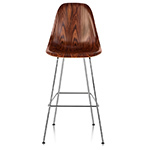 The Veneered shell is available in four wood finishes; White Ash, Walnut, Ebony and Santos Palisander. 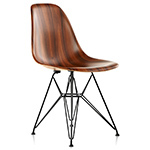 The 4-leg base is available in either Trivalent chrome, white or black finish. 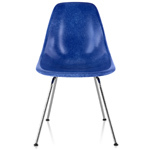 Also offered with wire base or dowel base. 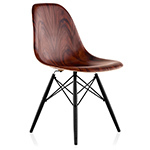 $710.00 + free threshold delivery in the continental U.S.